As anyone who follows digital marketing surely knows, successful strategies change over time. Sometimes these changes are gradual, like the increasing impact of social media presence, and sometimes they are sudden, as in the dire need for a mobile friendly site in the wake of Google’s “Mobilegeddon” algorithm update, which places a premium on those sites that are both responsive, and mobile friendly. As has been the trend for years, search engines and prospects will favor content that is relevant, useful, and/or educational. Traditional marketing strategies, such as inundating the media with advertising copy may still have their place, but online is not one of them. There are millions of outlets and platforms for someone searching online, and no one will willingly read ad copy when there are so many alternatives. Any successful content marketing strategy for 2016 and beyond must focus on creating engaging content, and putting it in a place that your target customers will see it when they are looking to purchase, or looking for information about your product or service. At Mitro Digital Marketing, we are constantly researching the digital marketing industry, and below you will see some of the emerging trends that will have a huge impact on the success and failure of your online marketing strategy for 2016. Gone are the days when a successful content marketing strategy consisted of sloppily written, keyword stuffed articles that were thinly veiled attempts at branded, advertising copy. Whether on site or off, no prospect will spend their time reading advertisements. With the rise of DVR, TiVo, and other such products, consumers have made clear that they have no interest in watching commercials. If your onsite blog posts are an extension or variation of your advertising copy, it will serve only to alienate those very prospects you are looking to attract. The shift has already started, and you can go to any site and see the popularity of top 10 articles, how to guides, and other variations of bitesize, informative, and brief pieces that do not require a bookmark, or a cup of coffee on behalf of the reader to understand the meaning and message of the piece. A catchy title is also very important, as again, there are literally millions of articles, and yours needs to stand out. Of course, a link is still relevant, but more important is that your company is presented as an authority on the subject that is written about. The aim should be to engage the reader, making it more likely that they will comment, interact with, and share the content. Keeping with the theme of User Experience (UX) in content marketing, this is another way to make your content stand out. Videos have always been a popular form of advertising online, and with Google’s ownership of YouTube, as well as their willingness to use videos in organic results, this is a trend that shows no sign of slowing down. Not to continue to beat that poor horse, but, creating a video and throwing it online is not enough to increase your brand’s digital footprint, and quality will always trump quantity. Your video needs to be relevant to your market, as well as being engaging, thoughtful, and entertaining. Research has shown that users will watch 5 seconds of a video before deciding whether to finish it or go elsewhere. The goal then, is to have a strong opening that either intrigues, entertains, or even shocks the person watching the video, compelling them to interact with it, and/or share it. In this way, users will do your advertising for you, spreading your name, and increasing the awareness of your brand. Everyone is trying to create the next viral video, and it will not happen accidentally. It will be the end result of research, preparation, and a unique message presented in a professional looking production. Infographics continue to be very popular inclusions into articles and blog posts. A great infographic will sum up the main point or message of your article in an approachable manner that is concise, free of clutter, and easy for the user to follow. Perhaps your article has a fact or statistic that although vital, may be buried in the article, or difficult for readers to grasp. Creating a custom infographic to accompany the piece and illustrating the point will go a long way to making the information easier to grasp. This illustration is also something that is much easier for a user to “read” on the fly, while in line for their coffee, or waiting at the checkout line. This infographic may be enough for them to make a mental note to read the whole article when they have a moment, or maybe they will just share the infographic on their social media platforms. 2015 was the first time ever that mobile traffic topped desktop traffic, and with the proliferation of different mobile devices, this trend shows no sign of slowing down. Google is already favoring mobile friendly sites in their search rankings, and in fact, having ONLY a mobile friendly site (without a non-mobile friendly counterpart) will not get you penalized in the rankings. Following consumer trends, Google has clearly sent the message that if your site is not mobile friendly, its rankings will be hurt. This of course ignores the fact that if your site is not mobile friendly, then those prospects who do visit it from a mobile device will not be able to access the site in its entirety, and will more than likely click off it to visit one of your competitors with a site that does render properly on their mobile device. 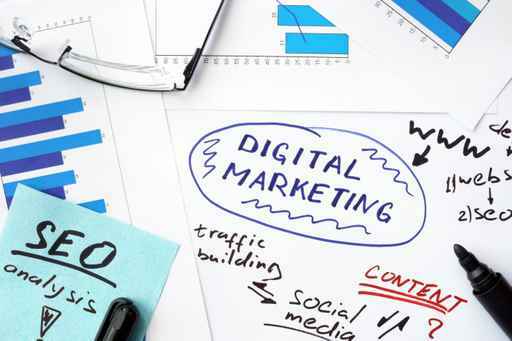 The best digital marketing strategy will serve to increase your digital footprint, as well as bolster brand awareness, pushing possible customers to your site. Now more than ever though, consumers are reaching out to review sites before making a decision on where to spend their hard earned money. This is especially true for tourists and travelers, as it is as close as they can get to a word of mouth recommendation from someone they trust. There are dozens of popular review sites out there, like Yelp, Foursquare, and TripAdvisor. Any business owner needs to be keenly aware of a review as soon as it is placed. If it is a negative review, this is a great opportunity to reach out and mitigate whatever possible damage could be done by trying to rectify the customer dissatisfaction. If it is a positive review, you want to trumpet that validation of your business across as many platforms as possible. If this is something you are doing in house, or if the reputation management agency that you use does not have these capabilities, you owe it to your business to reach out to an experienced online reputation management company, and you are in the right place for that. Knowing how important these favorable reviews are, it is not enough to sit back and wait for them to come in, you must solicit those reviews. Whether it is a first time visitor or a repeat customer, solicit their feedback. This can be done through an email marketing platform, or by offering rewards for reviews. One negative review may compel a prospect to go back to the search engine for a better place to visit, eat, or vacation. You must be aware of what is being said about you and your business, and the time to utilize this service is now. As you can see, the digital marketing landscape is constantly evolving. Factors that used to carry the day have decreased in relevance, and things that were on no one’s radar 5 years ago are immensely important. This is why it is vital that in 2016 you have a balanced and diversified online marketing effort. SEO continues to be hugely important for the long term visibility of your company online. Although SEO tactics and strategies have changed, the importance of organic rankings has not. If SEO is something you’ve resisted in the past as an unnecessary expense, you probably now know that Google is not going anywhere, and people’s use of it will only grow. If you don’t have page one rankings, you will be spending a lot more of your marketing budget elsewhere to overcome that crippling disadvantage. PPC advertising, whether on Adwords, Bing, a social media site like Facebook, or a combination of platforms, is the quickest way to get page one placements. It is not cheap, but you get what you pay for. If you need your phone ringing tomorrow, this is still the quickest and most effective way to achieve that. Don’t be fooled by the ease of use that Adwords offers, you should hire a trusted marketing company with Adwords certified analysts to optimize your PPC campaign, knowing that your media spend is being allocated wisely. Adwords generated over $50B in advertising revenue, and that is because it works. Finally, email marketing allows for a low cost, high return way to reach your customers directly. Again, you should not be using the platform to send people advertisements, but email is a great way to touch base with a customer, to thank them for their business, to compel them to leave a review, and to let them know of special offers. What better way to show someone that you value their business than by dropping them an email letting them know about a special product or rate available only to them? With so many changes happening so rapidly in the online marketing world, you need to have a trusted digital expert on your side so that you can focus on running your business. The expert team at Mitro Digital Marketing would be happy to analyze your current strategy and offer proven solutions with the software to back it up. We’ve been voted Best Digital Marketing on the Beach for two years in a row and awarded ESBY Award 2015 (Entrepreneur, Small Business of the Year) by the Outer Banks Chamber of Commerce. Contact us today and find out how we can help your business in 2016 and beyond.